Our two new PianoSoft releases this week cover highlights from the Temptations, the Four Tops, and heyday of 60's R&B, as well as the greatest hits of one of the 70s greatest singer songwriters, Cat Stevens. Both albums are in the PianoSoft Solo format, with music arranged for solo piano playback in your keyboard or Disklavier. Pianist Bill Cunliffe takes on some of the 60s greatest soul songs for "Dock of the Bay", building solo piano arrangements that accentuate beautiful harmonies, without losing sight of Motown's patented rhythmic drive. Highlights include the tense and timeless chorus of the Four Tops' "Reach Out", a spirited rendition of "Respect" and a take on "The Way You Do the Things You Do" that plays up the song's swinging, bluesy bounce with wonderful results. 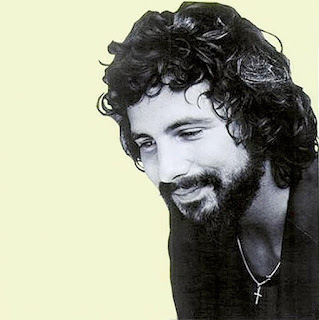 "Morning Has Broken" features songs from three of Cat Stevens' most popular records (Mona Bone Jackson, Tea For the Tillerman, and Teaser & the Firecat), spanning his creative peak of 1970-71. Bryan Pezzone's solo piano renditions capture the quiet intensity of Stevens' original songs, which include classics like "Peace Train", and "Father and Son".